I'll cover the posters later (most of them cost a mere fiver), first the branded or licensed products. GB Posters have literally hundreds to choose from, ranging from Ariane Grande and Adventure Time, to Yu-Gi-Oh and Volkswagen. 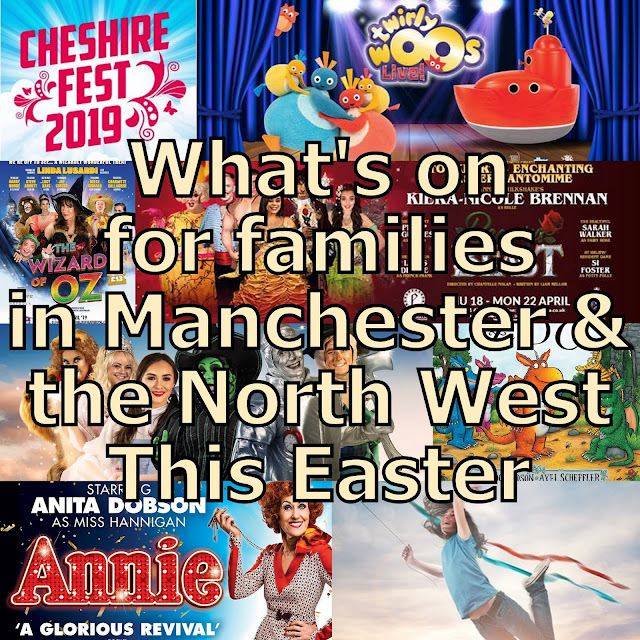 You can browse them all on the Brands A-Z page. 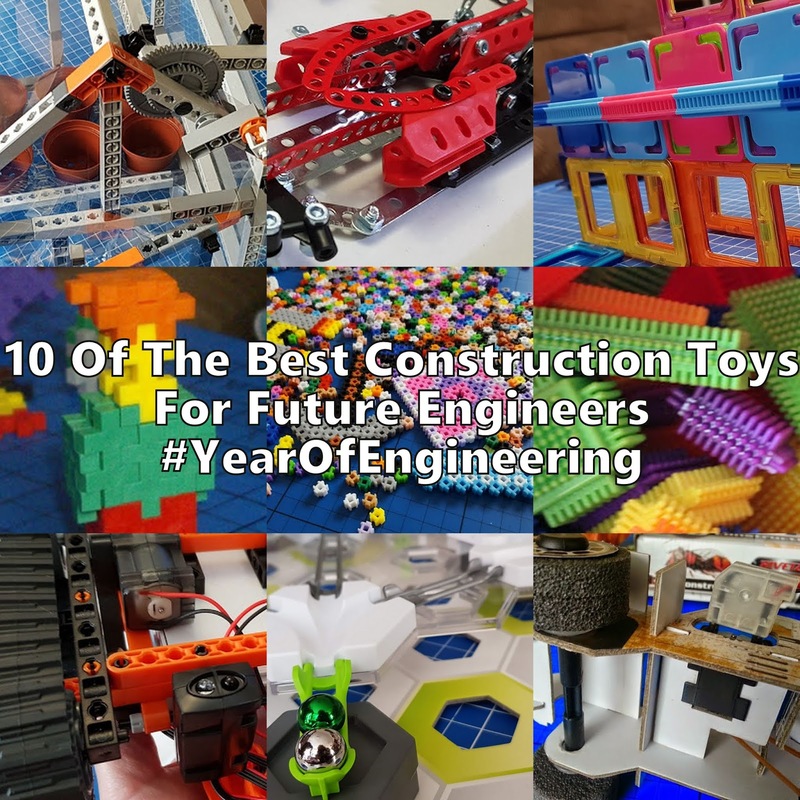 My family young and old had no trouble finding some of their favourites. These are exactly the sort of thing we give at Christmas as stockingfillers, they're great for adults and awkward teenagers. 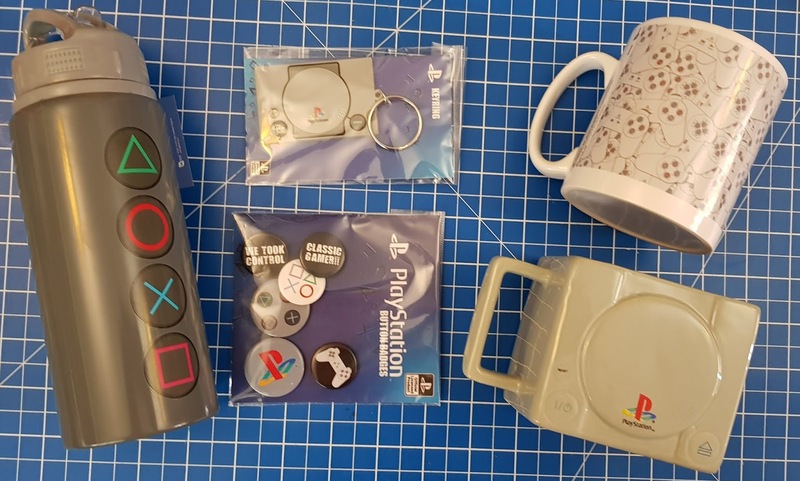 The Playstation range includes Button Badges, Keyring, a Drinks Bottle, Heat Change Mug and a 3D Mug which is perfect for a desktop pencil holder if you don't want to drink from it. My 10 year old has recently discovered Skyrim and so he had that on his list. We were sent a great Colour-Change Mug, Button Badges, Card Wallet and Lanyard. 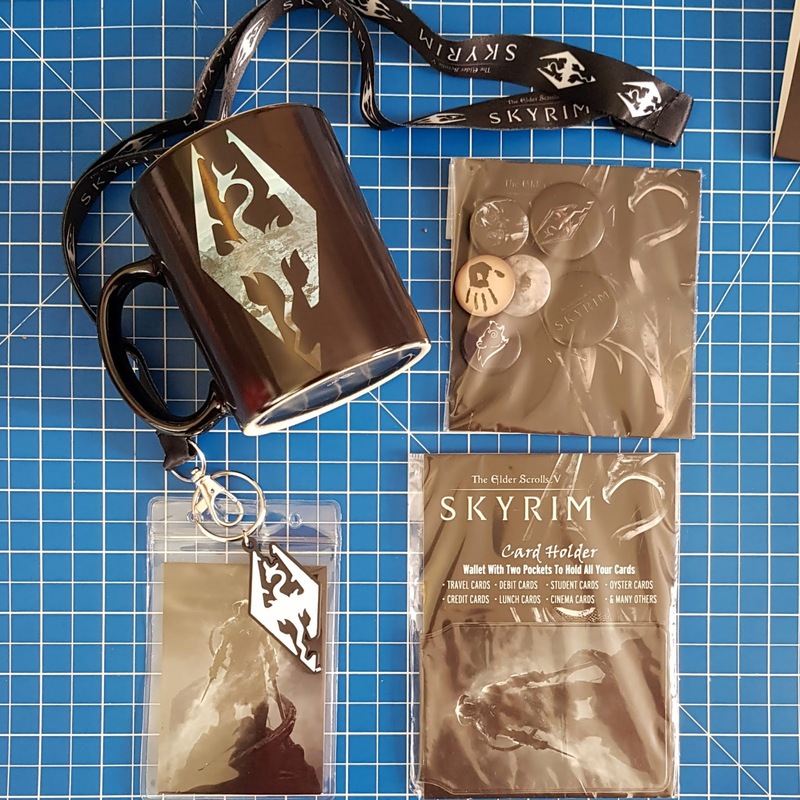 The Lanyard is really nice, with a card holder and a rubber keyring and a soft-edged ribbon that won't chafe your neck. Fallout was my choice, especially Nuka Cola and GB Posters came up trumps. 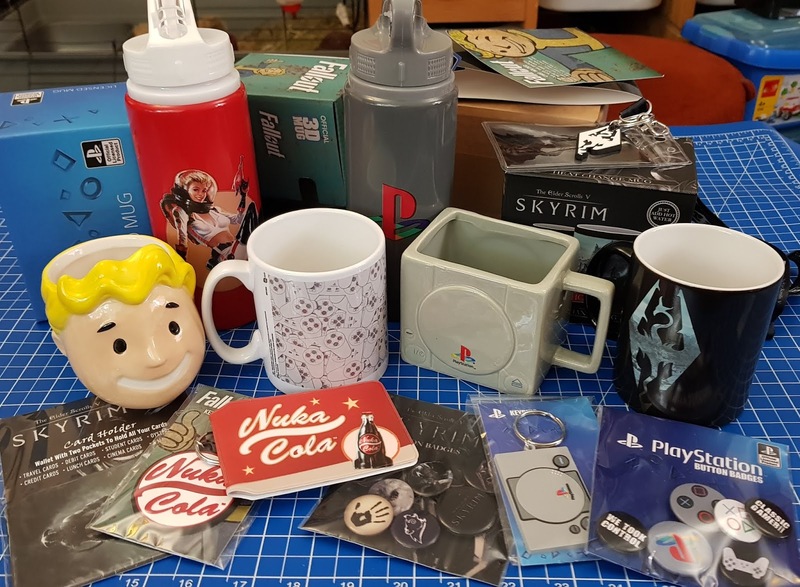 A 3D Vault Boy Mug, Nuka Cola Drinks Bottle, Card Wallet and Keyring. 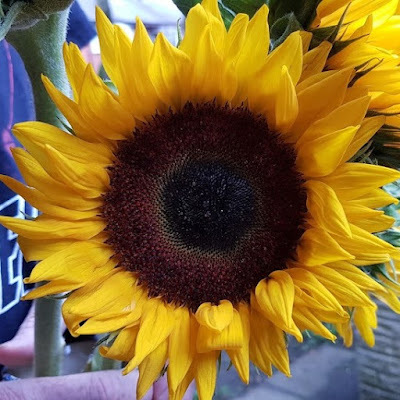 The printing is excellent, very sharp and the materials good quality. 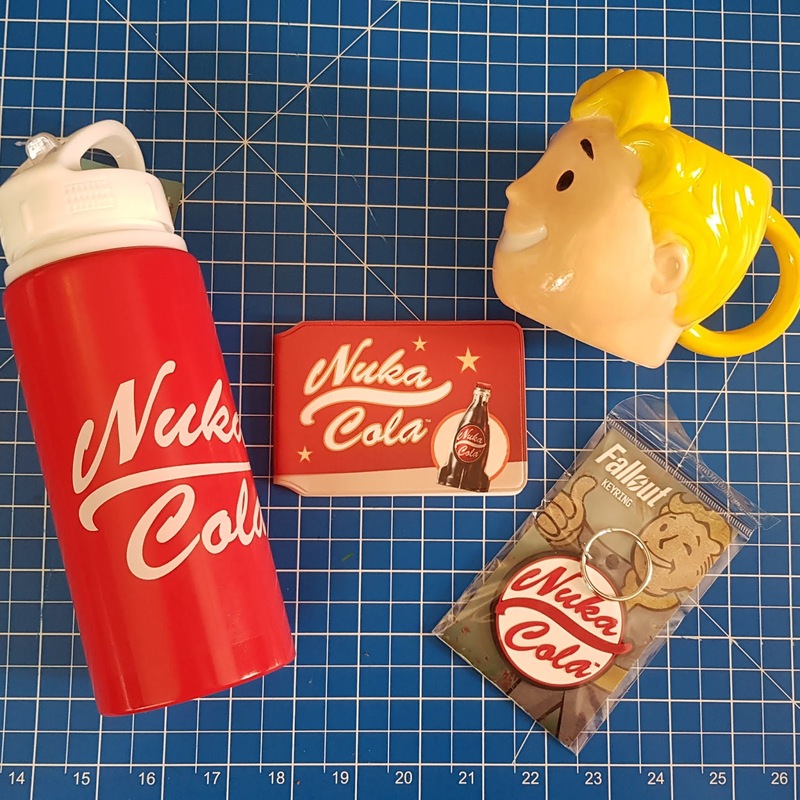 It's exactly the sort of thing you'd get free with Nuka Cola if it was actually real. 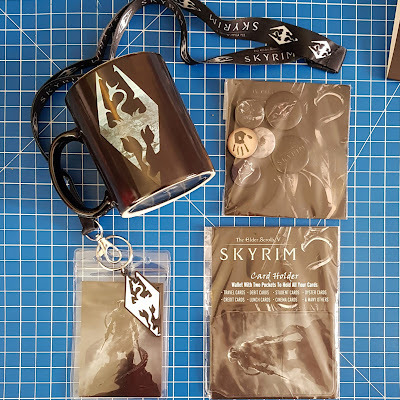 The attention to detail is really good, with different print on each side of the bottle and card wallet. The Drinks Bottles themselves are a really nice design, with a clear flip-out spout and straw inside to pick up the liquid. 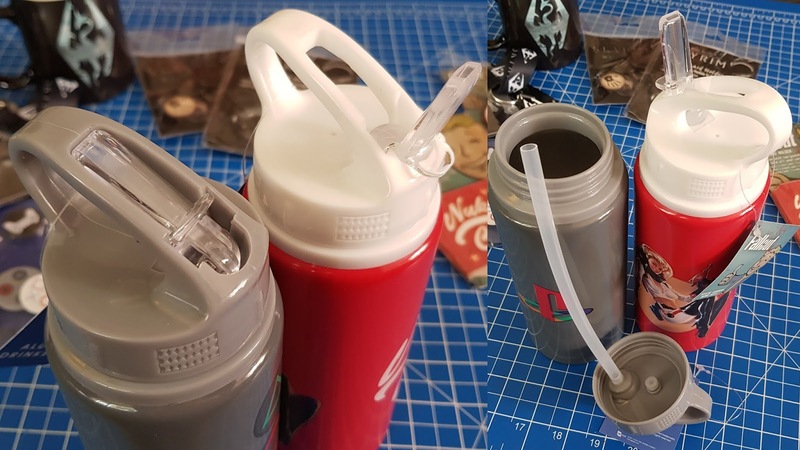 They are actually aluminium, and there's a big, strong handle on the top of your large bottle. Very user-friendly as well as looking good. 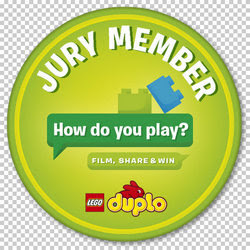 The Button Badges are a real touch of nostalgia for me and my boys were really excited by them. It's good to see that the simplest of things can be so popular still. The printing is really sharp and the designs are interesting, with a lot of variation. The Card Wallets are something I find really handy. 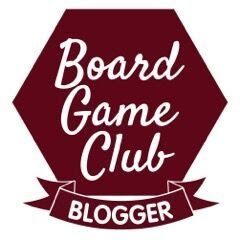 You don't need 400 different cards when you know you're only going to one place. 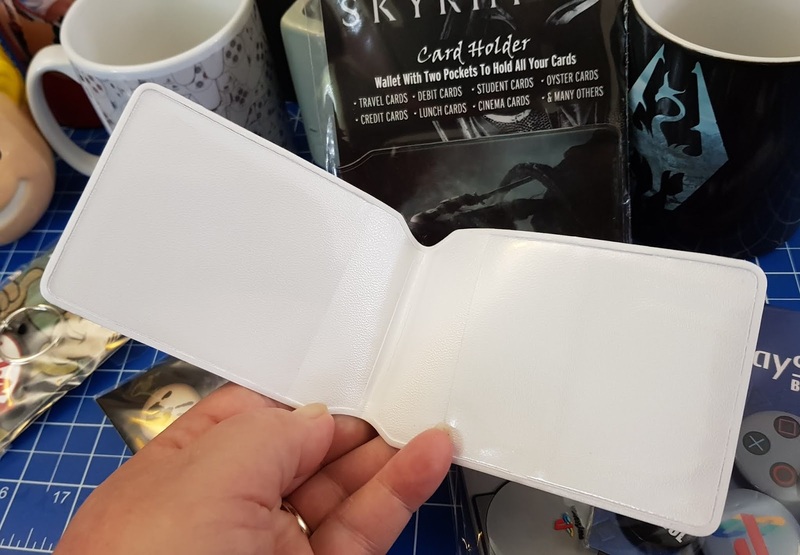 These plastic wallets have 2 card pockets and simply fold in half. So simple, but effective. Perfect for a travel pass and student card. There are literally hundreds of different brands to choose from and all kinds of products. They also do hip flasks and coasters, gift boxes and glasses, and more than I can list here. The posters were what we were most waiting for. 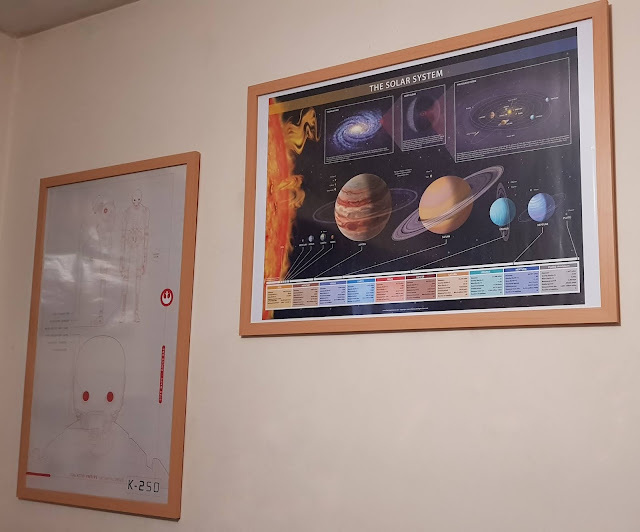 Everyone's recently moved bedroom, in the case of 2 of my teenagers, they've gone to uni, so posters are something perfectly timed to bring a little homeliness to a new surrounding. We were sent a bundle of posters that really were perfect for us and two of the GB Posters Maxi Poster Frames. These cost £19.99 each, which is incredibly good for the size, and they are available in 6 different finishes to match your room. 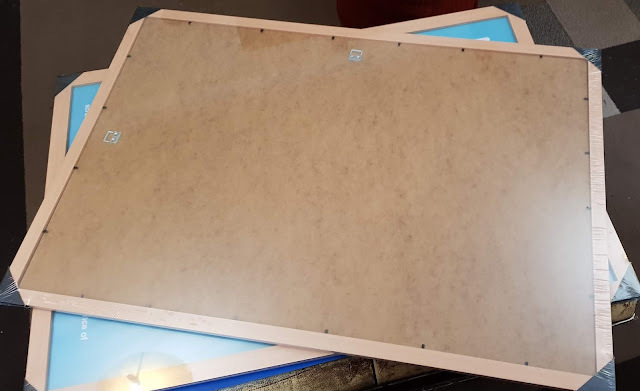 The 61X91.5cm Maxi Flat MDF Frames have hangers so that you can use them either landscape or portrait, and are very light. 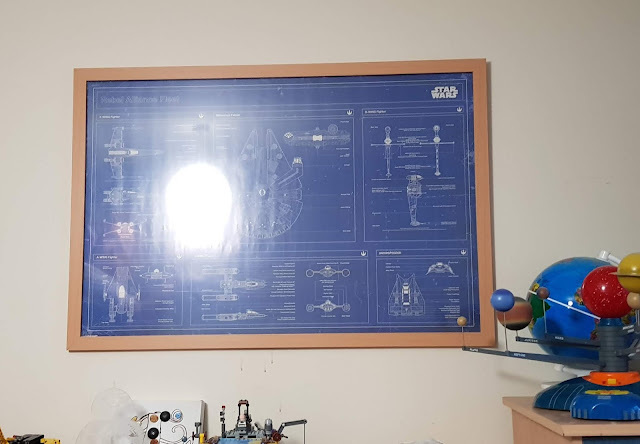 This means that your poster will hang fine on a standard single picture hook. 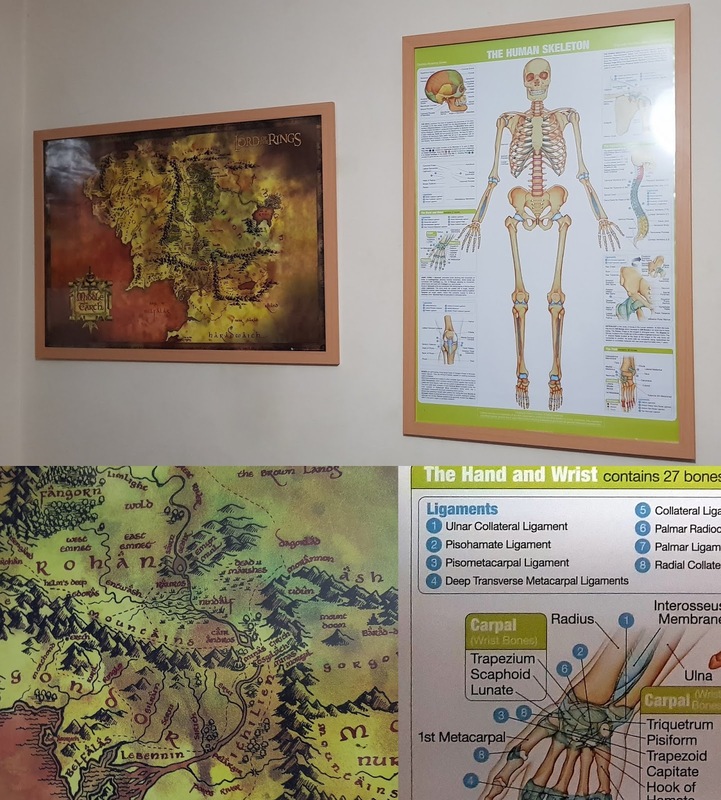 Below are the Lord Of The Rings Classic Map and The Human Skeleton. There is plenty of detail and colour, the printing is again very sharp and clear. The above are all Maxi posters, which are 61x91.5cm and printed on 150gsm paper. 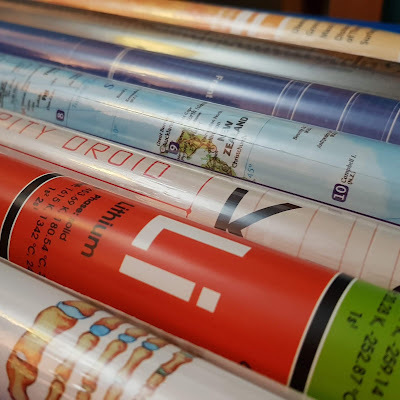 They feel and look really nice quality and are packaged in tubes with packing, to prevent creasing and crumpled ends. 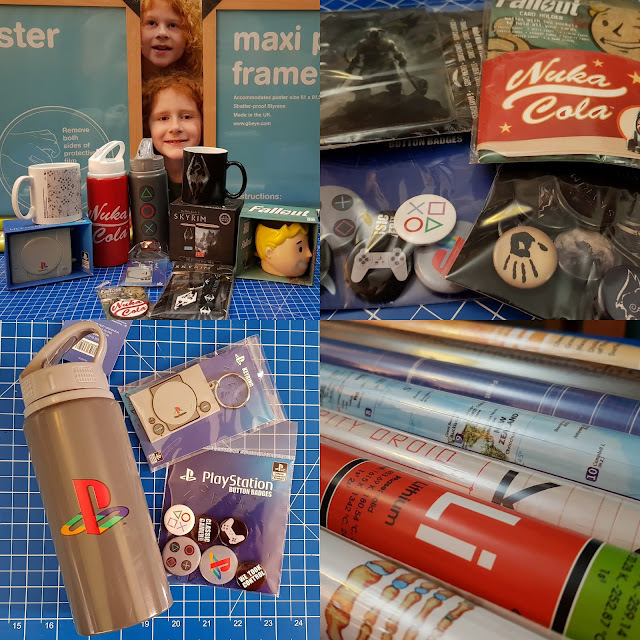 All of our products arrived in perfect condition. 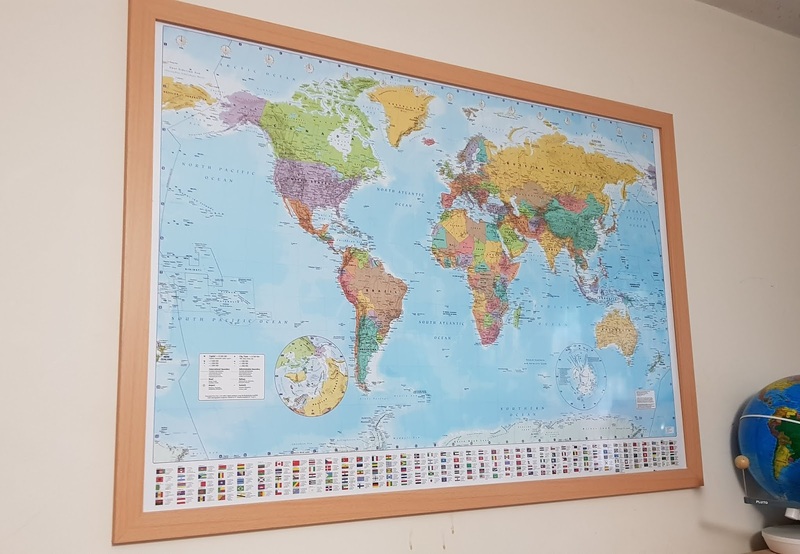 Most of our posters are from the Maps/Educational section of the website. 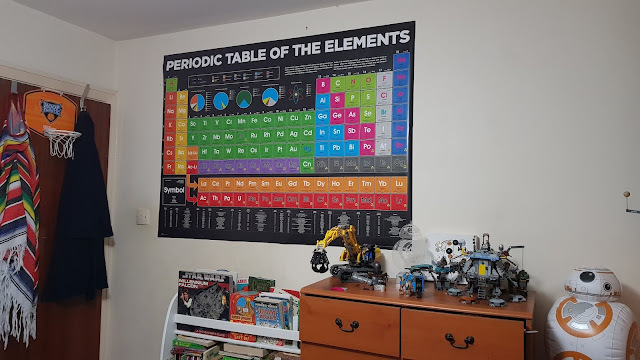 A poster my 10 year old had already requested before we were offered the review is The Periodic Table. We were sent the Periodic Table Of The Elements 2018 Giant Poster, which is 100 x 140cm and really impressive. It's HUGE! The posters from GB Posters cost the same as I used to pay when I was a teenager, and are infinitely better quality. Maxi Posters cost £4.99 each and the Giant Period Table costs only £7.99. Very fair prices for excellent quality posters. You can browse the entire GB Posters range of posters, frames and branded goodies on the GB Posters website. 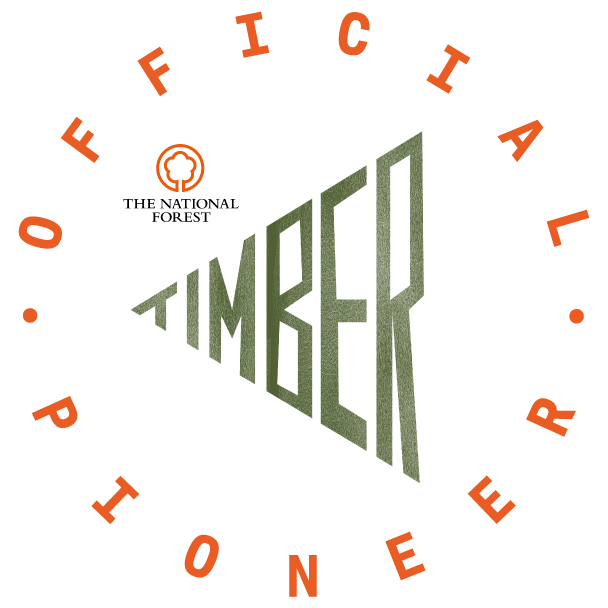 The website is really easy to use, and you can look by brand and by item. They offer free UK postage for orders over £25 and at the time of typing have a 4 for the price of 3 offer on posters. I'll be shopping here for my family this Christmas, that's for sure. We were sent our GB Posters bundle for review. The Disney Range From Jumbo Games And Puzzles.